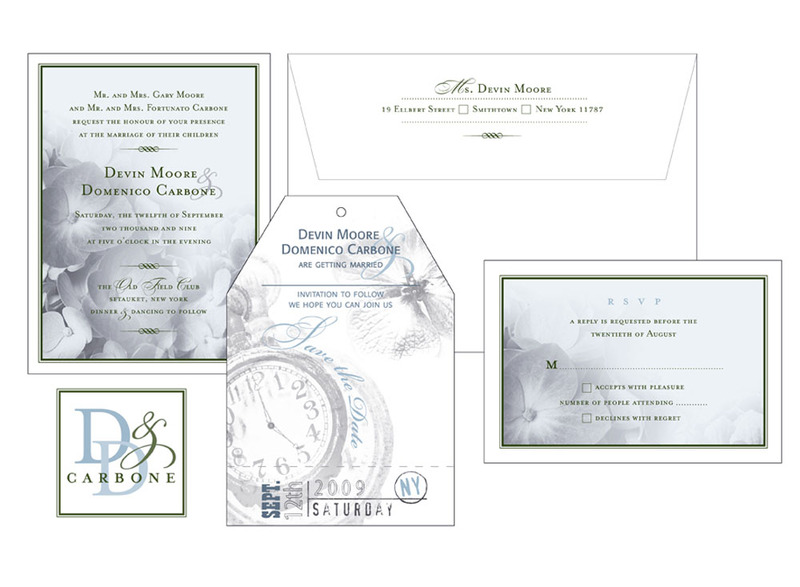 Devin wanted an invitation package that was subtle and quiet to coincide with her hometown wedding. Her decision to use hydrangeas for her special day transpired into a theme for the color and style of her invitations. With quaint typography and delicate imagery, we created a truly unique set that reflects her sophisticated and refined taste. The invites were printed smaller than typical A7-sized announcements. The wedding invitations were printed to fit sized A4 envelopes and the dinner menus displayed at the wedding could fit in the palm of the hand.